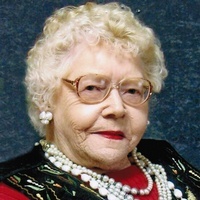 Agnes Florence Johnson, the daughter of the late Anton and Clara (Mathison) Hanson, was born on Oct. 3, 1926, in Marsh Grove Township of Marshall Co., near Newfolden, MN. She attended school and grew to womanhood in the Newfolden community and was baptized and confirmed in the Lutheran faith. On Feb. 10, 1945, Agnes was united in marriage to F. Helmer Johnson at Newfolden and they farmed in West Valley Twp. South of Strandquist for many years. Helmer passed away in Dec. of 1981 and Agnes moved to Argyle in 1985. She was employed at Arctic Enterprise in Thief River Falls from 1969 until 1976. Agnes was an excellent gardener. 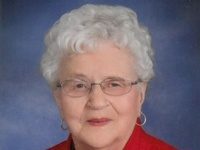 She attended Bethesda Lutheran Church in Strandquist over the years and was a member of the Strandquist American Legion Auxiliary. 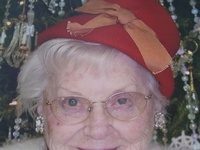 Since Jan. of 2007 she has resided at the North Star Manor Nursing home in Warren, MN, where she passed away on Tues. afternoon, March 26, 2019, at the age of 92 years, 5 months and 23 days. 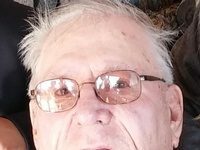 She is survived by three sons: Lester, of Thief River Falls; Elmer, Jr., of Strandquist; and Larry (Judy), of Grand Forks, ND; two daughters: Linda (Fred) Schindler, of Strandquist, and Luann (Kendall) McGlynn, of Holt, MN; son-in-law: Cliff Nelson; in addition to many nieces nephews and other relatives. Agnes was preceded in death by her husband, her parents, one son: Leroy, one daughter: Lynette, one grandson: Mike Nelson, five brothers and ten sisters, being the last surviving member of her siblings. Funeral services will be held at 10 A.M. Sat., April 6, 2019, at Bethesda Lutheran Church in Strandquist with Pastor Wesley Staie officiating. Visitation will be one hour prior to services at the church. Interment will be in Bethesda Cemetery near Strandquist.